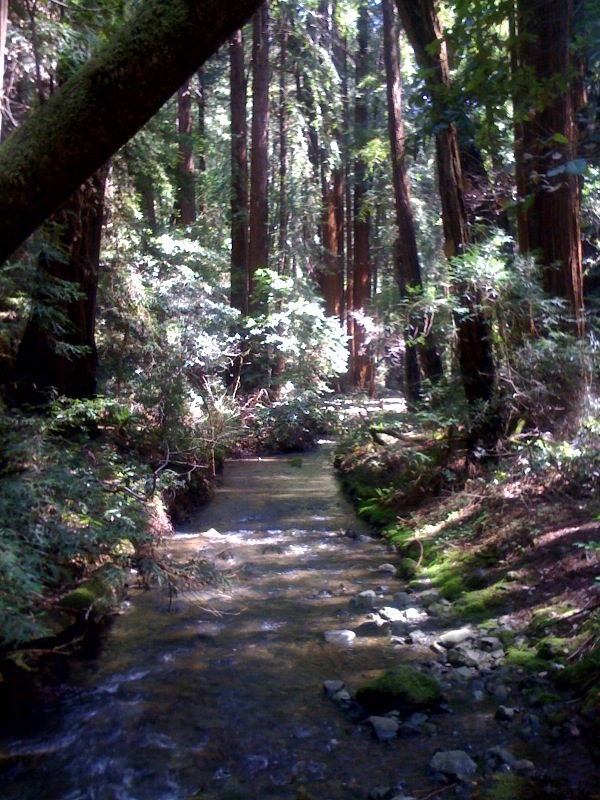 Today I went with my wife and her parents for a hike in Muir Woods, just north of San Francisco. We hiked among some enormous Redwoods. There were TONS of people there when we arrived, but as we hiked further and further in, there were less and less people. My wife and I prefer parks and preserves where we only run into a few people, but it was still great. I started breathing more deeply, a sense of calm came over me as I listened to the creek ripple along and our steady steps on the trail. Easy laughter with family and the warm sunbeams finding their way through the giant trees above. It’s amazing what happens when you enter God’s creation and let go of “stuff.” You are challenging your body on the trail and going further away from civilization with less distraction. The trail slowly brought me further from physical and mental inspiration to deeper desire for Spiritual Growth and challenge. We decided to be deliberate about giving God those quiet opportunities to work in our lives. **a side note: I was pumped to capture those sunbeams on my little iphone camera. That’s God’s power shining through- awesome!